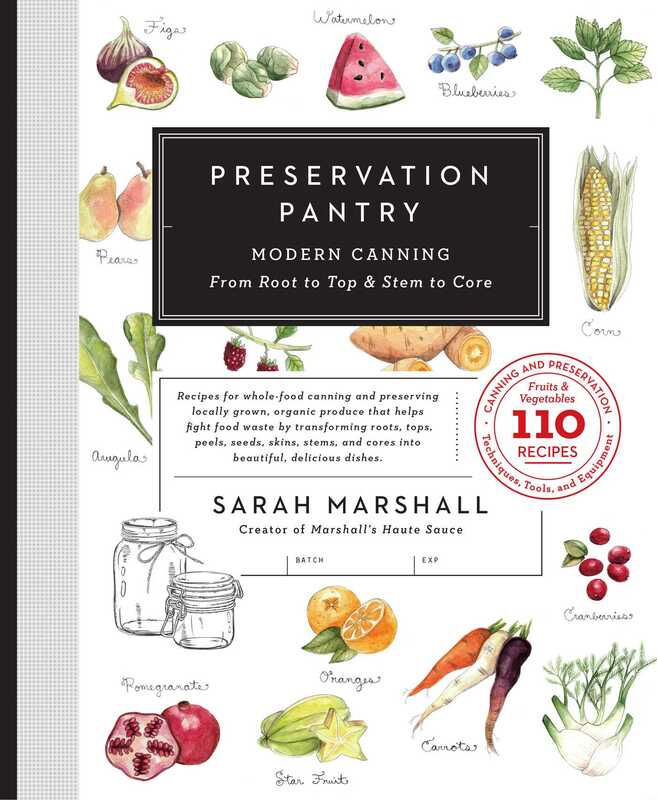 Sarah Marshall’s Preservation Pantry includes 100+ recipes for whole-food canning and preserving locally grown, organic produce that helps fight food waste by transforming roots, tops, peels, seeds, skins, stems, and cores into beautiful, delicious dishes. When Sarah Marshall started her hot sauce business, Marshall’s Haute Sauce, she noticed that too much of her produce was getting thrown away, so she decided to make it her mission to learn creative uses for food parts that have normally been tossed aside. Through simple, approachable steps, readers will be guided through the process of canning and preserving produce and using parts like carrot and strawberry tops, fennel fronds, beet stems, onion skins, apple cores, Brussels sprout stalks, lemon rinds, and more to make 100+ unique and delicious recipes. Preservation Pantry’s root-to-top, stem-to-core method recycles every part of fruits and vegetables so that farmer’s market produce stays delicious long after the season ends. Whether you’re an experienced homesteader or a novice canner, Marshall shows you how to create recipes for canning and preserving that you can then incorporate into finished dishes.